Condon's city attorney pick, Laura McAloon withdraws, saying she can't work with Council President Ben Stuckart. The independent investigation into how the city handled the forced resignation of Spokane Police Chief Frank Straub had scathing things to say about members of the city attorney's office. But, so far, the only attorney whose city employment has been impacted by the release of the report is an attorney who hadn't even started yet: The mayor's pick for city attorney. 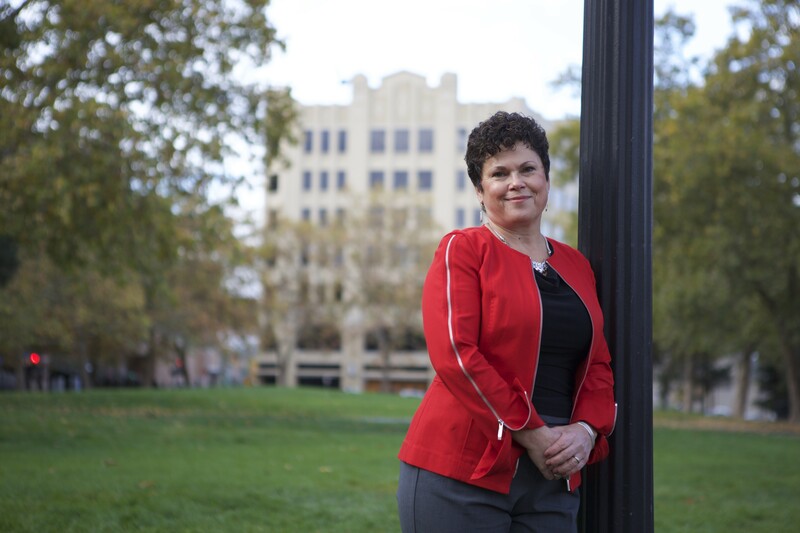 In a conversation this afternoon, Laura McAloon confirmed to the Inlander that she had decided to withdraw her name for consideration, in advance of a confirmation vote by the city council. "I’m not willing to work with people who are toxic. It’s a personal decision. Life is too short to spend it for people who believe in conflict for the sake of conflict," McAloon says. "I’m not going to put myself or my family through that." Even before the investigative report came out, the Inlander had reported on conflicts between City Council President Ben Stuckart and McAloon, who was one of Mayor David Condon's appointees on the joint committee overseeing the investigation. McAloon had complained that Stuckart was spreading misinformation about the report, but the two had been able to put that behind them. "I believe you can disagree on how the investigation rolled out, but still think she’ll be a great city attorney," Stuckart told the Inlander on July 25. "She was very impressive in court. I have a great amount of respect for all the work she’s done with the STA and [as city attorney for] Pullman." He said he'd vote for her. That all changed on July 26, when McAloon and former Utilities Director Rick Romero passed along several questions from the mayor to independent investigator Kris Cappel. The questions, in part, led Cappel to reassess her conclusions and to remove the mayor's and city spokesman Brian Coddington's names from key findings. Cappel was very clear that McAloon and Romero had not attempted to influence her decision, and that the decision to edit the report was hers alone. But Stuckart immediately lambasted McAloon in a press conference on July 27, saying that he could no longer vote to confirm her as city attorney. A meeting this week with Stuckart was the final straw for McAloon. "It was a toxic meeting," McAloon says. "I don’t do bullies. I don’t work with bullies." She said none of the other councilmembers posed the same problem. "He made it clear: He was not even willing to talk to me. [I asked] if the rest of the council confirmed me and he wasn’t going to, would he be able to work with me? He said no," McAloon says. "He literally walked out of the room. Walked out of the meeting." But Stuckart says McAloon's recollection is inaccurate. He says he told McAloon that if she were confirmed, they would find a way to work together, but that she didn't have the votes and should withdraw her name. "I walked out of the room after she wouldn't stop arguing with me. I brought up a couple issues," Stuckart says. "I was not a bully." He says he refused to support McAloon for two reasons: He says the decision by her and Romero to call Cappel after the first version of the report came out was a mistake — that it looked bad, and shouldn't have been done without the rest of the committee. And he says a voicemail message McAloon left accusing him of being a "liar" wasn't "appropriate." "Those are the two things that I can't get over," Stuckart says. Stuckart, of course, has himself accused Mayor Condon and City Administrator Theresa Sanders of being liars, but he says, in those cases, the shoes fit. "The independent investigation says the same thing," Stuckart says. "They've lied repeatedly to the council for six months. It's established fact. It's not new and it's not out of the blue." Stuckart repeated that he was not a bully. "This isn't about Ben Stuckart being a mean guy," Stuckart says. "It's me expressing the opinion of numerous different councilmembers that I talked to." McAloon had been willing to take the job with the goal of repairing the communication problems between the council and the mayor's office. But as she withdraws her name, she now isn't sure mending relations between the mayor and the council is possible. "I am flabbergasted by the animosity coming from the council president for no logical reason whatsoever," McAloon says. "My response is that it’s that not something that you can overcome." After requesting comment from the mayor, city spokesman Brian Coddington sent out a statement to the public announcing McAloon's decision. “I am disappointed that a highly qualified professional feels so discouraged about serving our community,” Condon said in a statement. The city is left with a hanging question: For the city attorney's office, what happens next? "Mike Piccolo is doing a great job as acting city attorney right now," Stuckart says.